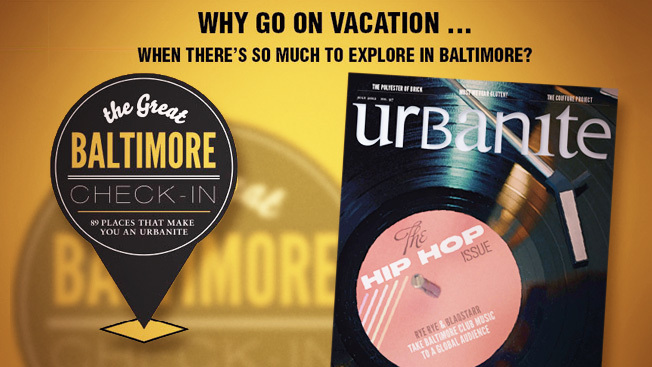 Lifestyle magazine Urbanite and public radio station WTMD, each local entities in Baltimore, say Foursquare helps sell traditional advertising. The media brands have teamed up to create a contest-based geosocial game dubbed "The Great Baltimore Check-In," which they are packaging with print ads, website promotions and radio plugs. It's an unusual marriage of mobile check-ins and offline ad units. Pitched to various types of retailers, the packages range from $450 to $1,750 per month, with the ads running July 1 through Sept. 30. The idea was tested last summer and was evidently successful enough with local marketers that Urbanite’s ad sales team viewed doing it again as a no-brainer. "Last year, there was one advertiser who wasn't doing print anymore," said Tracy Ward, publisher of Urbanite. "He bought one of the most expensive packages, including the game, print and radio. He later came back and said it was the best commercial value he's ever gotten. And we saw other advertisers come on board that weren't buying print before." For the particular advertiser she mentioned, Ward later revealed it to be Grand Cru, a Charm City wine bar. "It's something we can do without having to produce a call-to-action," Nelson Carey, a Grand Cru staffer, said. "And you get feedback when people show up that you don't get with other forms of advertising." Another 2011 advertiser from the same retail niche, Chesapeake Wine Company, wasn’t as compelled to buy an ad package this year. "It's a great idea," said Mitchell Pressman, owner of the Baltimore shop, "but we are going to sit out this year. We’re doing very little advertising at the moment." According to Steve Yasko, general manager at WTMD, the realm of participating advertisers includes neighborhood bars, clothing boutiques, photography studios and eating establishments, among other examples. During the three-month campaign, his radio station will plug the participating businesses—as well as the check-ins game in general—while Urbanite will run a similar mix of paid and house ads for the campaign in its July, August and September issues. The game, which drew 1,500 players last year, is simple enough. Foursquare users that register online to play are challenged to check in at 89 different commercial and public landmark locations. At the end of September, the player with the most check-ins wins a 2012 Vespa scooter, while second place garners a new Fender Stratocaster guitar. Other runners-up will receive gift certificates from the participating local businesses. Yasko said he's repeatedly presented last year's campaign at trade shows for public radio marketers. "This is really the pivot point of where traditional and new media can exist together to enhance a station and magazine's stature in the community, sell more ads and sponsorships and, I believe, revolutionize promotions," he said. On a print publishing level, Urbanite's Ward said, "It's really helped expand our relationship with younger readers. It fits nicely into our mission, which is to foster dialogue in Baltimore and get people out of their silos…And it drives customers to our advertisers' locations."